Photo: The Minister for Community Services, Kevin Andrews and Senator Catryna Bilyk with NAPCAN’s CEO Richard Cooke, Deputy CEO Leesa Waters and Guest Speaker Kris Teece. The Hon. Kevin Andrews, Minister for Social Services called on Australian Parliamentarians this morning to play their part for the children and young people in their communities leading into National Child Protection Week. A special PACAN (Parliamentarians Against Child Abuse and Neglect) event, convened by Senator Catryna Bilyk and the Hon. 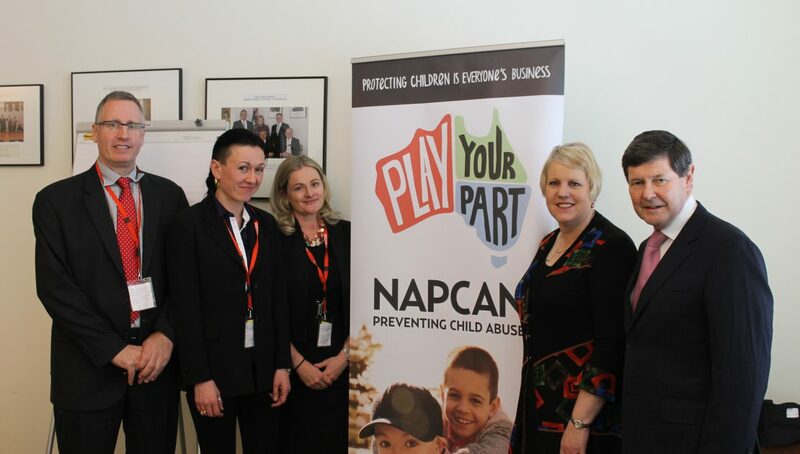 Ken Wyatt MP in partnership with NAPCAN was held this morning. Guest speaker Kris Teece spoke about the challenges she faced in her childhood and the positive impact different people had on her life, demonstrating that communities matter and can influence a child’s life outcomes by playing their part.